The service is purchased on a per-extension basis. Navigate to the extensions in your control panel by selecting Extensions from within the Configure menu. From the list of extensions on your account, select the one you wish to enable the service on. 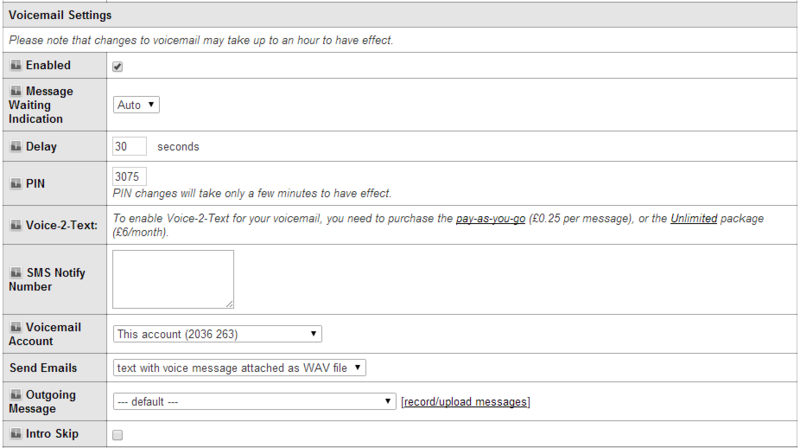 Scroll down to Voicemail Settings and purchase either the pay as you go or unlimited service (from within the Voice-2-Text section). Once you have purchased the service, return the the same area on the extension page and select the tickbox that will now appear. If you wish to change the mobile number that receives the converted voicemail text, click on the extension in your control panel and scroll to SMS Notify Number (within the Voicemail settings area). Enter the mobile number you wish to use here and click Save to update your preferences.